Santa Barbara County has its own unique food tradition and lifestyle. We’d like to help you find some of the area restaurants, bakeries, food producers and specialty retail shops that contribute to the distinctively Santa Barbara experience. This is also a compact listing of all of our advertisers. Please visit them to pick up your free copy of the magazine and let them know how much you appreciate their support of Edible Santa Barbara. Small family-run local farm specializes in sustainably grown food and their famous handmade pies, quiches and small-batch preserves. Visit them at the farmers market to purchase produce, pies, jams and naturally fed and farm-raised rabbit, lamb, pork, goat and poultry. Taste the magic of Winfield Mangalitsa! Mangalitsa ground pork (the real hamburger) and hickory smoked bacon are now featured in the Larder Meat Company’s Larder Club meat box, delivered monthly throughout California (sign up at http://www.lardermeatco.com).You can also order through our Mangalitsa Market on the Winfield Farm website—please call first! Follow us on Facebook (WinfieldFarmBuellton), Twitter (@WinfieldFarm.us) and Instagram (Winfield_Farm). Santa Barbara’s most innovative breakfast and lunch spot featuring Acai Bowls and smoothies. They also offer oatmeal, yogurt and more. Elegant accommodations, attentive staff and award- winning cuisine make the Ballard Inn & Gathering Table one of the most sought-after small luxury inns in the Santa Barbara Wine Country. Offering an approachable take on the fine-dining experience, Barbareño highlights the traditions and specialties of the Central Coast through creative story-driven dishes and ingredients from local farmers. Sit in the main dining room and enjoy the enticing atmosphere of an open kitchen, or outside on the lush patio alongside the Santa Maria grill. Dinner nightly 5–9:30pm; closed Tue. A cozy neighborhood restaurant serving naturally leavened Neapolitan-style pizza made with seasonal California ingredients. Whether you’re celebrating a special occasion or just grabbing a spritz at the bar, Bettina is committed to simplicity, community and hospitality that makes guests feel at home. Open Fri through Sun for lunch and nightly 5–10pm. Making bread the old-fashioned way: handcrafted in small batches with the finest ingredients and baked to perfection in a custom-built stone-deck oven. Drop in to taste what visitors and journalists are raving about as “worth the drive”—signature Pain au Levain, award-winning artisanal breads, croissants and specialty pastries. All-day menu of made-to-order breakfast, lunch and weekly special dishes. Indoor-outdoor picturesque café. Thu–Mon 7am–6pm. Café closes at 3pm. Closed Tue and Wed. Located in the historic D’Alfonso building with the cow on top, Bossie’s Kitchen offers seasonal farmers market dishes in a casual counter service setting. Chef-wife team Christina Olufson and Lauren Herman’s menu features garlic and herb-roasted chicken, sandwiches on house-made bread, soups, salads, sides and nightly specials. Open for lunch Tue–Fri 11:30am–3pm, dinner Tue–Sun 5pm–close, brunch Sat–Sun 10am–2:30pm, happy hour weekdays 4:30–6pm. Closed Mon. Bouchon sources all of its ingredients using an “as-fresh-and-as-local-as-possible” approach. Experience fine dining, excellent regional wines and relaxed service in a warm, inviting ambience. Private dining in the Cork Room is available for groups of 10–20. Dinner nightly 5–10pm. Chef Dario Furlati’s flagship eatery offers a fine Italian dining experience featuring authentic recipes made with fresh, local ingredients. Handmade pastas, local seafood, weekly farmers market specials and an extensive Italian wine list. Located in the heart of the downtown Arts District. Serving lunch and dinner Sun–Thu 11:30am–10pm, Fri–Sat 11:30am–10:30pm. Ca’Dario Pizzeria in the Public Market offers a casual, urban atmosphere to enjoy authentic pizzas, salads and appetizers. Open daily 11am–9pm. Ca’ Dario Cucina Italiana in Goleta is open Mon–Sat 11am-9pm. Chocolate Maya handmade chocolate confections: a variety of velvety truffles and chocolate-dipped temptations that are made from the highest-quality chocolate (Valrhona, Felchlin, Mesocacao including some small bean-to-bar artisans couverture) fresh local ingredients and some exotic findings from their travels overseas. Located inside the Santa Barbara Public Market, offering homemade, local, unique and fresh cocina Mexicana. Join Chef Ramón Velazquez for fresh ceviches, mouthwatering tacos and homemade agua frescas. Open Mon–Fri 11am–9pm; Sat–Sun 10am–9pm. Catering. Counter. Classes. Utilizing many locally grown organic ingredients, enjoy daily rotating entrées and soups, seasonal menu and gourmet salad bar. Corporate and event catering since 2013. Sign up for cooking classes online. Lunch counter Mon–Fri 11am–3pm. Santa Barbara’s first olive oil producer is celebrating 20 years of organic farming. Become an expert at their family-friendly tasting bar. More than 40 food products, picnic garden, group events. Join the Olive Oil Club and save 20% for the lifetime of your membership. Open Thu–Mon 10am–5pm; closed Tue and Wed.
Offering 156 contemporary and spacious rooms, large and elegantly appointed suites, premium fiber Internet access, event space and full service restaurant just steps away from Santa Barbara Wine Country. Local Executive Chef, Conrad Gonzales, combines big city flavors with seasonal local produce and acclaimed wines from local vintners. Open daily for breakfast, lunch and dinner. Offering a full service bar featuring Santa Barbara County wine and beer from California. A favorite of locals and visitors since 1986. Serving wood-grilled fare, prepared in the regional barbecue tradition, along with their highly regarded Hitching Post Wines. Casual and relaxed setting. Santa Barbara’s best source for wholesome, natural and organic foods and products with real people dedicated to providing unmatched personal service. Mon–Sat 7am–11pm, Sun 7am–10pm. Featuring a charming outdoor patio overlooking the Spanish Colonial architecture of the renowned Courthouse. Offers a magical ambiance and sense of communion around the table. Executive chef Oscar Ledesma draws inspiration from the farmers market and French Mediterranean flavors to accentuate his contemporary American fare. Open Sun–Thu 4:30–10pm, Fri–Sat: 4:30–11pm, Happy Hour 4:30–6pm. McConnell’s Fine Ice Creams, founded in Santa Barbara in 1949, is now in its third generation of family ownership. They make their ice creams as they always have: from scratch, using Central Coast, grass-grazed milk, cream and the finest local, sustainable and organic ingredients from partner farms, artisans and purveyors they’ve worked with for decades. No preservatives. No stabilizers. No additives. Ever. A 70-year sweet legacy of keeping it real. The Montecito Country Mart has been renovated and preserved, with its original barbershop, post office, market and old-fashioned toy store, as well as Rori’s Artisanal Creamery, Bettina, Merci, Caffe Luxxe, CO Collections, Kendall Conrad, Little Alex’s, Malia Mills, Hudson Grace, James Perse and Space NK Apothecary. Open Mon–Fri 10am–6pm; Sat–Sun 10am–5pm. Specializing in local olive oils, flavored oils and balsamic vinegars as well as many locally produced food products. Olive oil and vinegar tastings with fresh local bread available. Open daily 11am–5pm. The Painted Cabernet is a locally owned paint-and-sip art studio. Instructional artists guide you through the painting one step at a time while giving you the time to sip a little wine, visit with your neighbor, listen to some great music and have a fun night out. Date night, birthday parties, girls’ night and team-building events, or book a private event for your group. Open Tue–Wed noon–5pm, Thu–Sat noon–9pm, Sun 5–9pm. Pico at the Los Alamos General Store brings a culinary, wine and shopping experience to “Little LA” in the heart of Santa Barbara’s Wine Country. Chef Drew Terp offers a menu of approachable California cuisine sourced from locally-farmed, seasonal ingredients. Open Tue–Thu 3–9pm, Fri–Sat noon–10pm, Sun noon–9pm; Happy Hour 4–5pm. Enjoy a comfortable, convivial atmosphere in this locals’ favorite. Famous for its mac ’n’ cheese and award-winning ribs, the Plow & Angel is the place to see and be seen. The cozy ambiance is enhanced with original artwork, including gorgeous stained-glass windows and an homage to its namesake, Saint Isadore, hanging above the fireplace. Open for dinner 5–10pm; bar open 5–11pm weekdays and until midnight Fri–Sat. Plow to Porch Organics is a local organic/pesticide-free produce and grocery delivery service to members who subscribe. They simplify the purchase of local fresh organic produce and other organic, local foods in order to inspire good nutrition, support local farmers, protect the environment and make eating healthy food fun! Renaud’s is a bakery specializing in French pastries and French-style cakes, as well as a bistro offering an extensive menu for breakfast and lunch. Open Mon–Sat 7am–5pm; Sun 7am–3pm. Solvang restaurant Root 246, in the heart of Santa Barbara wine country, boasts inspired and inventive menus by Chef Crystal “Pink” DeLongpré, who crafts seasonal dishes rooted in her food philosophy of utilizing local, organic vegetables and organic, grass-fed, pasture-raised animals. 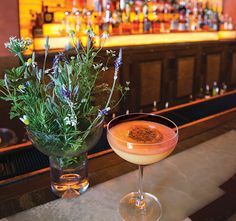 Expansive wine and spirits lists, hand-crafted cocktails. Open at 4pm, Tue–Sun. Late night in the lounge: Fri and Sat until midnight. Six markets, six days a week. Each week our farmers harvest a diverse and nourishing bounty from as far away as the California’s Central Valley and as near as the foothills. Click here for a full schedule. A family owned and operated café featuring scratch cooking. Serving breakfast, lunch and dinner for the past 12 years. Award-winning salad bar, bakery, soup, hot and cold prepared foods, coffee and tea bar and excellent selection of wines by the glass. Cozy atmosphere, dog friendly patio. Open Mon–Sat 7am–8:30pm; closed Sun. Now reopened! Nestled in the Montecito foothills of Southern California’s wine country, San Ysidro Ranch has provided a tranquil vacation destination for over a century. Visit the Stonehouse, named one of the 50 best restaurants in America by Open Table, or visit Plow & Angel for a comfortable and convivial atmosphere. With a wealth of local and seasonal produce and local wines, Scratch Kitchen aims to highlight all the best culinary elements of the Lompoc and Santa Ynez Valleys. Open for Lunch: Tue–Sat 11am–3pm, Happy Hour: Tue–Sun 3–5pm, Dinner: Tue–Sat 5–9pm, Sunday Brunch: 10am–2pm, Sunday Dinner: 5–8pm. Solvang Olive features locally grown olive oils, fruit and balsamic vinegar and hand-crafted gourmet olives. The Solvang store also carries olive oil beauty products, tableware and cooking ingredients created by Californian artisans. Tasting room open Wed–Thu 10am–4pm, Fri–Sun 9am–5pm. Located in a 19th-century citrus-packing house, the Stonehouse features a relaxing lounge with full bar service and a separate dining room with crackling fireplace and creekside views. Guests can dine on the ocean-view deck––a wood-burning fireplace and heated stone flooring provide year-round comfort. The regional cuisine is prepared with a palette of herbs and vegetables harvested from the on-site chef’s garden. Lunch 11:30am–2pm Mon–Sat; dinner 6–10pm daily; Sun Champagne brunch 10:30am–2pm. Comfort food with a twist, prepared with seasonal and local farm-fresh ingredients. The best charcuterie plates around feature farm-fresh cheese, house-made jam, pickled vegetables, nuts and fruit. Great local wine, craft beer and signature cocktails. Open Mon, Wed–Fri 10am–9pm, Sat–Sun 8:30am–9pm; Happy Hour 3–5pm; Closed Tuesday. Alma Rosa wines express the distinctive spirit and character of the soils, sun exposure, fog, cooling winds and over four decades of experience in this beautiful Sta. Rita Hills sub-region of Santa Barbara wine country. Tasting room open Fri–Sun 11am–5:30pm; Mon–Thur noon–5:30pm. The tasting room and the Jim Clendenen Wine Library are known for world-class Chardonnays and Pinots. Jim Clendenen has been making wines of vision and character for over 30 years, along with other varietals. Amazing lineup of current releases and library wines available. Tasting room open Mon–Fri noon–6pm, Sat and Sun 11am–6pm. August Ridge crafts wine that combines the spirit of California with the restrained, classic elegance of wines from northern and central Italy. Distinctive wines from the Paso Robles region to be opened as you gather for a meal, surrounded by friends, family and loved ones. Tasting room open Sun–Mon, Wed–Thu noon–7pm, Fri–Sat noon–8pm. Happy Hour Mon and Wed 3–6pm. Closed Tuesday. A passion for revolutionary farming and conservation continue to define this family-owned Sta. Rita Hills winery. Stunning single-vineyard Pinot Noirs are showcased alongside acclaimed Chardonnays and other varietals. Chill in the super soulful tasting room filled with vintage art and eclectic treasures. Tasting room open daily 11am–5:30pm. Great beer. Impeccable selection. Great fun. Adventurous beer drinkers can discover unique, hard-to-find craft beers, ciders and special projects—on tap or in bottle. Stay to have a bite from Valle Fresh’s tacos and tapas menu. Thu 4–8pm, Fri–Sat noon–8pm, Sun noon–6pm. In 1968 Betty Williams came to Buttonwood, creating a life that found expression through a connection with the land. The vineyard now has 33,000 vines with a mix of Sauvignon Blanc, Semillon, Marsanne, Merlot, Cabernet Sauvignon, Cabernet Franc and Syrah. Tasting room open daily 11am–5pm. Carr specializes in limited-production wines including Pinot Noir, Syrah, Pinot Gris and Cabernet Franc. Enjoy the ambiance of a working winery while sipping delicious wines on the patio or at the barrel-top bar. Wine tasting, wine on tap and wines by the glass served daily. Monthly art shows and live music. Daily 11am–9pm, Sun 11am–6pm. Carr Winery’s 3,800-square-foot tasting room and wine warehouse is where all of the Carr Wines are waxed and bottle aged. The tasting room has an open floor plan with a U-shaped bar and booths, perfect for large groups. Enjoy wine tasting and wines by the glass. Daily 11am–6pm. A boutique winery specializing in Rhône varietals crafted with premier Santa Barbara County fruit. Their wines are sold almost exclusively at their tasting room in historic Los Alamos and through their wine club. Open Thu noon–7pm; Fri–Sat 11am–7pm; Sun 11–6pm, Mon noon–4pm. Vineyard tours and barrel sampling available by appointment. Wine tasting and wines by the glass in a historical windmill featuring blends from Santa Barbara County vineyards. Stop by to enjoy the views from the patio or grab a seat at the bar. Only 800 cases produced. Sun–Mon noon–6pm, Thu–Sat noon–7pm. The Foxen Boys’ winery and tasting room features Burgundian and Rhône-style wines. Visit the historic shack “Foxen 7200” for Italian and Bordeaux-style wines. Picnic tables and scenic views at both locations. Open 11am–4pm daily. Established in 2010 as a small, premium wine producer, Kitá’s focus is on respecting the balance of soil, climate, location and taste. The word “Kitá” means “our valley oak” in the Santa Ynez Chumash language of Samala. Open Thu–Fri 2–6pm, Sat noon–6pm and Sun noon–5pm. Craft beer taproom and bottle shop located in Santa Barbara’s Funk Zone. Open Sun–Wed 11:30am–10pm, Thu 11:30am–11pm, Fri–Sat 11:30am–midnight. Longoria Wines is a small family-owned winery with over three decades of producing acclaimed artisanal wines from some of the finest vineyards in Santa Barbara County. Enjoy a tasting or a glass of wine in the tasting room or lounge of the restored historic JM Club at their new winery facility in Lompoc, open daily 11am–4:30pm. Located in the historic El Paseo complex, Margerum offers two venues for tasting in Downtown Santa Barbara. Enjoy a tasting (or a glass) of handcrafted, small production Margerum and Barden wines sourced from top vineyards around Santa Barbara County. Open Mon–Wed noon–5pm, Thu–Sun noon–6pm. Margerum also now offers tasting at their winery on Industrial Way in Buellton. Taste Margerum and Barden releases, sample wine from tank or barrel and tour the winery. Open Sat–Sun noon–5pm. The Martian Ranch tasting room is open Wed–Sun 11am–5pm. Taste their estate-grown biodynamically farmed wines for an out-of-this-world experience! Winery tours daily; vineyard tours on the weekends. Enjoy wines by the glass, bocce court, horseshoe pit and dog-friendly picnic areas. Open Wed–Sun 11am–5pm. Mon and Tues by appointment only. Established in 1973, when the first Chardonnay and Pinot Noir grapes were planted on the property. For years since then, some of the most renowned wineries have purchased Riverbench fruit for their wines. In 2004, Riverbench began producing their own still and sparkling wines in limited quantities, with many available exclusively through their tasting rooms in Santa Maria and Santa Barbara. Open in Santa Barbara 11am–6pm daily. Open in Santa Maria 10am–4pm daily. local and import selection, the shop offers one-of-a-kind ambiance, with knowledgeable, friendly and outgoing staff to assist you in finding that perfect bottle, in a relaxed vibe, smack dab in the middle of downtown Santa Barbara. Open Mon–Sat 11am–7pm, Closed Sun. Handcrafting unique American ales that embrace the heritage of California’s early brewing pioneers and use as many locally grown ingredients as possible. Visit the tasting room, open Tue–Thu 3–9pm; Fri–Sat 2–10pm; Sun 1–7pm. Telegraph beer is available at many restaurants and grocery stores in Santa Barbara County and throughout California. Santa Barbara’s newest private wine storage facility. The Wine Collector’s Room has over 40 private, climate-controlled lockers and a members-only lounge. Daily 11am–9pm, Sun 11am–6pm. The Wine Shepherd is a cozy wine bar and retail shop featuring local and international wines with a focus on rare, esoteric and old vintage bottles. Located next to The Black Sheep Restaurant in Santa Barbara’s Presidio neighborhood. Open Tue–Sun noon–10pm. Since 1973, Zaca Mesa Winery has crafted distinctive wines from their unique mesa-top vineyard. As an early pioneer of the region, they now have 150 acres planted, specializing in the production of estate-grown Rhône-style wines. Tasting room and picnic area open daily 10am–4pm. Call for more information on winery tours and private event space. Offering a variety of wood-burning barbecue grills with a variable speed fan system that allows you to cook as quickly as you would on a gas grill but with that coveted wood-fired flavor. Life Elements CBD & Honey body care soothes aches and pains, relieves inflammation, hydrates and repairs dry skin. Locally handcrafted with organic, full spectrum hemp-derived CBD and pure bee goodness of beeswax, honey, propolis, royal jelly and pollen. A natural health alternative for your medicine cabinet. Mon–Fri 10am–5:30pm; Sat 10am–5pm; closed Sun. Offering a local and sustainable approach to banking. The founders of American Riviera Bank are a carefully selected group of successful, prominent, experienced and influential community and business leaders who understand the unique needs of the Santa Barbara community. Montecito branch open Mon–Thu 9am–5pm; Fri 9am–5:30pm. Santa Barbara branch open Mon–Thu 8am–5pm, Fri 8am–6pm. Working every day to move people from hunger into health. The mission of the Foodbank is to provide nourishment to those in need by acquiring and distributing safe nutritious foods via local agencies and providing education to solve hunger and nutrition problems in Santa Barbara County. Teacher, singer, pianist and songwriter Ken Helman has a gift for helping people express themselves through their own unique vocal instrument. Ken creates a powerfully motivational atmosphere in which his students at all levels can access the freedom and joy that singing connects us to. Since 2013, On Q Financial’s goal has been to ensure the mortgage process is streamlined and smooth for every client. Their team even works closely with community partners to provide homebuyers’ workshops to the Santa Barbara community. They are ready to help you purchase a home or refinance your existing home loans—in Santa Barbara and beyond. The SBCC Foundation was established in 1976 to provide Santa Barbara City College with private philanthropic support. The foundation acts in partnership with the college and bridges the gap between available public funding and institutional need, as determined by the college leadership. The SBCC Foundation provides more than $4 million annually for student success programs, scholarships, book grants and other critical needs of the college in order to support SBCC students as they prepare for careers, transfer to four-year universities and pursue lifelong learning goals. Just like our barbecue, the recipe for our way of life requires simplicity, character, soul and a touch of spice. Hit the road and explore all you can do in and around Santa Maria Valley. You’ll find it’s the perfect home base, where you can eat, drink and do more for less.